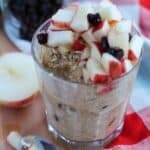 This Apple Cinnamon Overnight Oats Recipe is a delicious nutritious breakfast that's a great alternative to oatmeal, made by soaking oats in milk overnight! How are you going to maximize your mornings in 2017? By maximizing your evenings in 2017!! As a mom of two kids, my mornings are so hectic as I try to feed the kids breakfast, look for missing gloves, clean up any mess from breakfast, all while I try to have breakfast and coffee myself. By preparing overnight oats the night before, my mornings were just a little simpler, which all moms can appreciate! 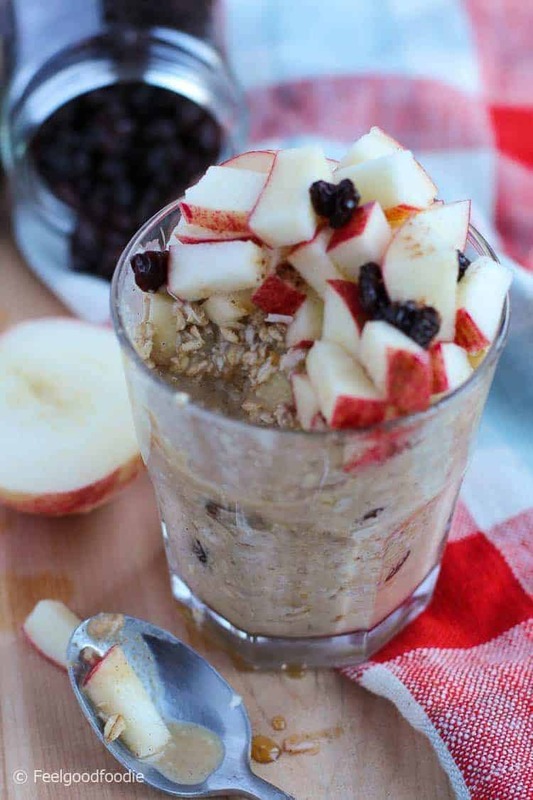 This Apple Cinnamon Overnight Oats not only simplifies your mornings but is also a delicious way to start the day! 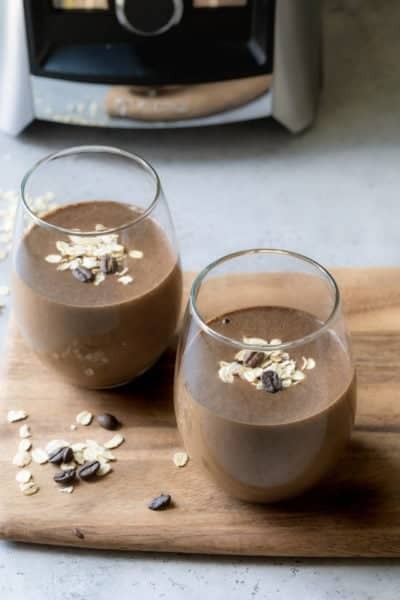 When I first discovered overnight oats 4 years ago, they were a trendy new healthy breakfast posted all over Pinterest. In fact, I kept reading raving reviews about their convenience, simplicity and taste. So, without much hesitation, I gave them a try and have been a fan ever since! Nowadays, I make them for my husband and the kids at least 3 times a week now! 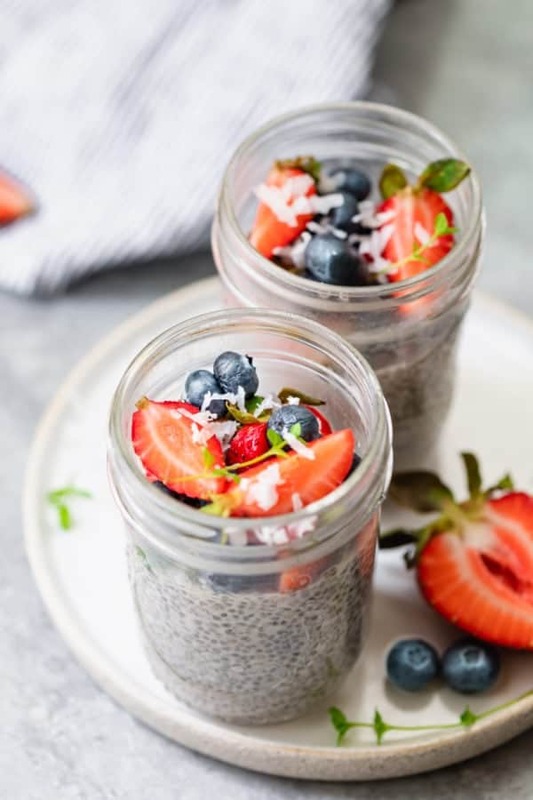 Now, you might be thinking, 3 days of week of overnight oats sounds so boring! 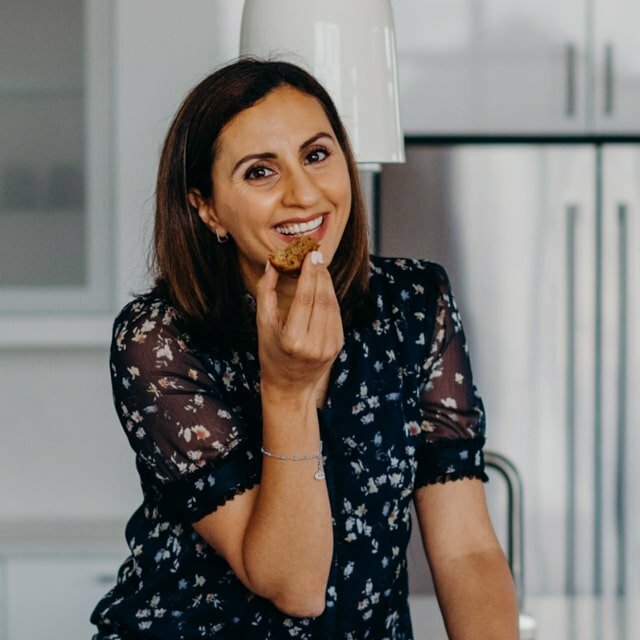 But actually, it never gets boring for us because I use a different fruit everyday, add different types of protein powders, nut butters, crunchy toppings (even chocolate chips sometimes! sshhhhh….) and all kinds of toppings like flax seeds, hemp seeds, chia seeds, coconut flakes, cacao nibs…you get the idea! 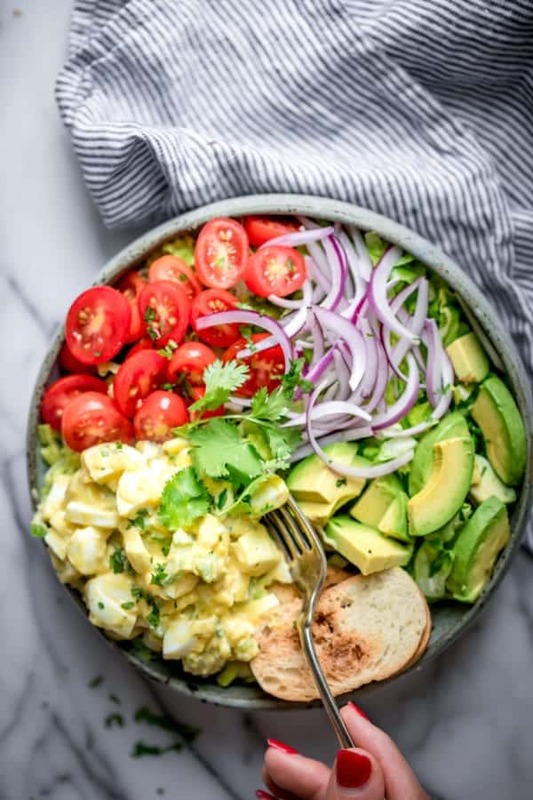 It’s a hearty healthy breakfast packed with tons of nutrients vitamins, and most importantly fiber to keep you full and energized for your whole day! 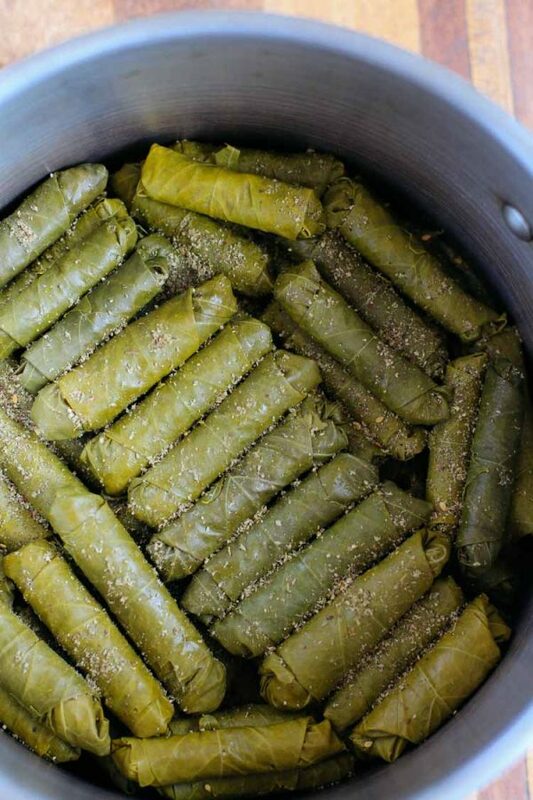 The best part…no cooking required!! Try it, Love it, Share it! Hope you try this recipe for Apple Cinnamon Overnight Oats. Please tag me #feelgoodfoodie so I can see all your fabulous recreations on Instagram, Facebook, Pinterest and Twitter! Place all the ingredient in a jar, including the apples, mix it up, cover and refrigerate overnight. The next morning, add more fresh cut apples if you wish, or your favorite toppings like nuts or granola and enjoy! ONO you didn’t! This is definitely one of the best ONO recipes I’ve tried. Please share more! 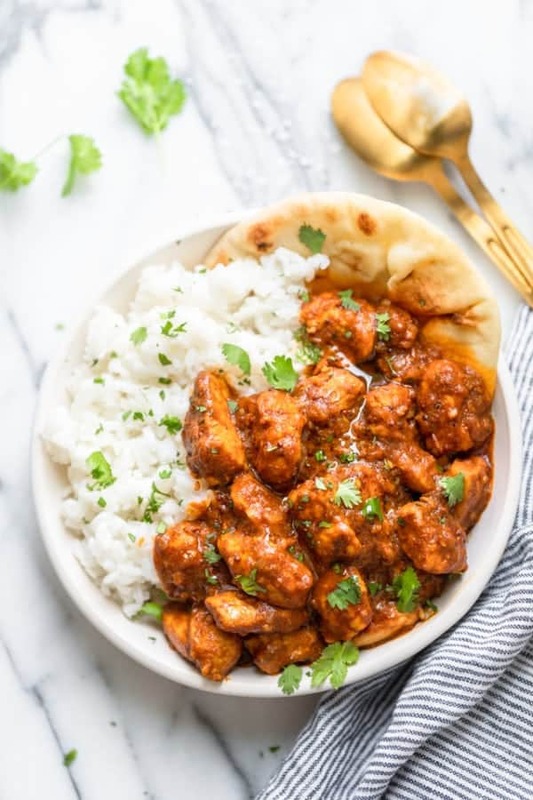 I realy love this recipe. I was not such a fan of overnight oats, but this one is delicious. Thank you for sharing it.